Provides your body with impressive amounts of vitamin C, vitamin k, beta-carotene, and much more while supporting healthy digestion and detoxification. A great source of healthy fiber. 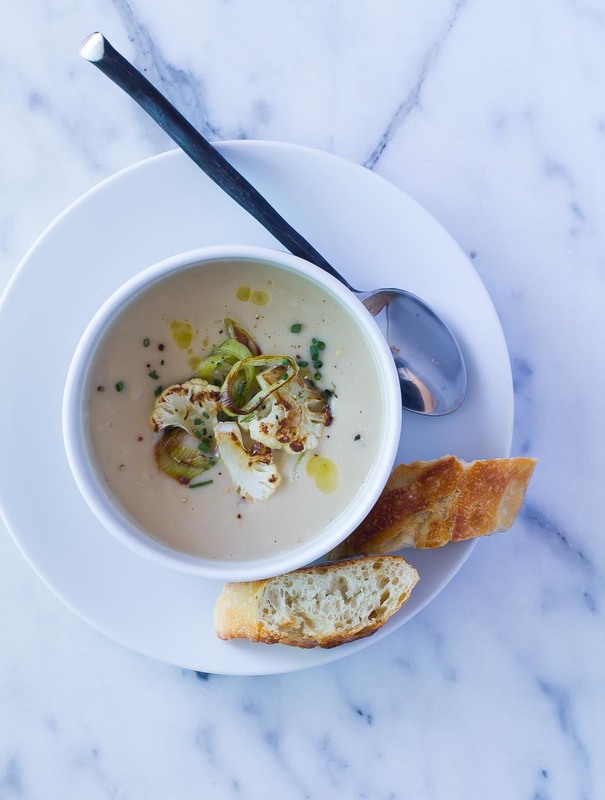 This soup is incredibly easy and has an elegant creamy texture. 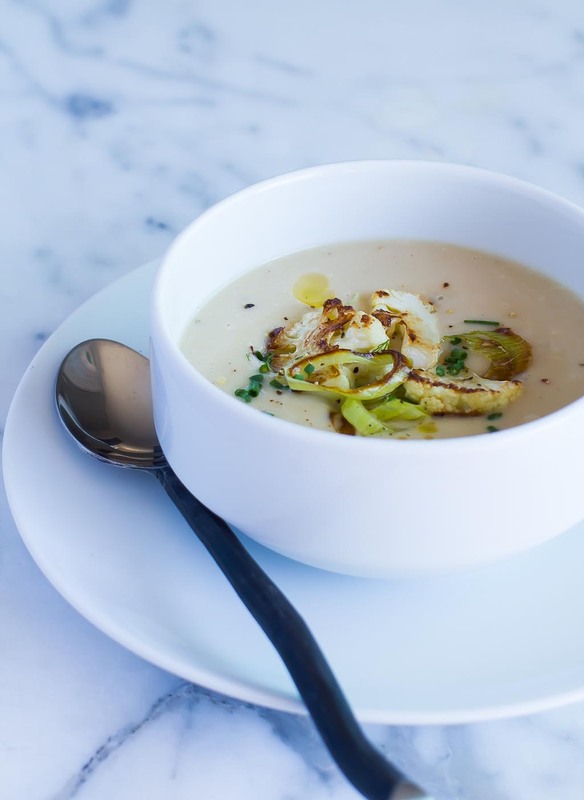 It’s kind of like a potato leek soup without all the starchy carbohydrates. 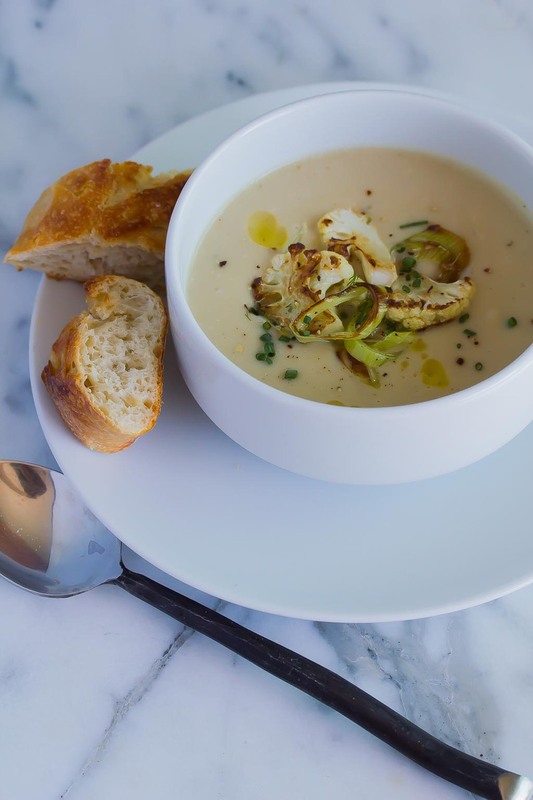 Garnish with a few pieces of sauteed cauliflower and leek and a drizzle of olive oil. Love healthy soup recipes? Try this healing Shiitake and Chard Detox Soup! Want to learn more about the health benefits of cauliflower? Check out some great info here! In a medium stock pot, add the cauliflower, garlic, leeks, thyme and olive oil. Heat to medium and cook for about 5 minutes until the leeks are golden brown.